S'mores has certainly become a summer staple. Always on our Summer Bucket List, we usually make them the traditional way over a fire. 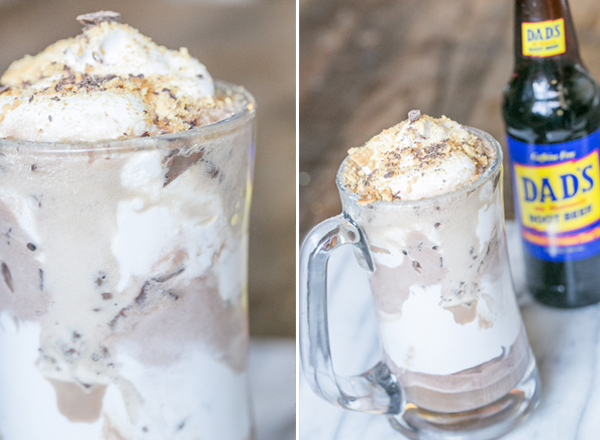 But, I am loving this idea from Sugar and Charm–combining s'mores and root beer floats for a delicious dessert. I will admit, that I'd probably buy the marshmallow fluff instead of making it, but now I'm adding this to our Summer Bucket List! Find the full recipe here.